Meaning Maker: This is Art! Meaning Maker is a guided interactive response structure tailored to specific styles of experience. 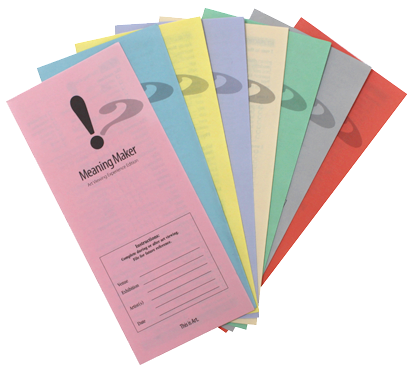 Meaning Maker enables users to round out and develop closure with any given experience. When used over time, Meaning Maker becomes a powerful and useful tool to assist in understanding and evaluating one's life experiences and activities. Making distinctions is essential for human survival. Download Meaning Makers for all of your self-reflection needs!